The author is a program analyst with the Office of the Assistant Secretary for Planning and Evaluation in the U.S. Department of Health and Human Services. Acknowledgments: This article is condensed from an unpublished paper with references. The paper is based on extensive research involving published articles and documents, unpublished documents, and conversations with Mollie Orshansky. The author is grateful to Mollie Orshansky for sharing memories about her career and her life in a number of conversations during the 1980s and 1990s, and for giving him copies of some of her unpublished work. The author is also grateful to more people than he can name for helping him find information about and papers by Mollie Orshansky. For more information on the development and history of the poverty thresholds, see Fisher 1992a and 1992b. Views expressed in this article are those of the author, and should not be construed as representing the policy of the U.S. Department of Health and Human Services. In December 2006, Mollie Orshansky, known to many as Ms. Poverty, died at age 91 after a long government career during which she did pioneering research on poverty and the measurement of income inadequacy. Mollie Orshansky was born in New York City in 1915, the daughter of immigrants from what is now Ukraine (Chan 2006, 4; Cassidy 2006, 42). Although her father worked hard at a number of different jobs, Mollie and her sisters grew up poor—in her words, the family could "barely...make ends meet" (Social Security Administration 1971, 15–16; Hadnot 1999). Mollie remembered going with her mother to stand in relief lines to get surplus food. As she was to say later, "If I write about the poor, I don't need a good imagination—I have a good memory" (Eaton 1970, 24). Her experience also gave her first-hand awareness that it is possible to work full-time and still be poor (Burke and Burke 1974, 12). Mollie was both the first high school graduate and the first college graduate in her family; she graduated from Hunter College in 1935 with an A.B. in mathematics and statistics. Later, after she started working as a federal employee in Washington, she took graduate courses in economics and statistics at the Department of Agriculture Graduate School and at American University. Mollie started her first job in 1935, working in New York City as a statistical clerk for the New York Department of Health. During the rest of her career, all but one of her jobs were with federal government agencies. In 1936, she moved to Washington to take a job as a junior statistical clerk with the U.S. Children's Bureau, with a promotion to research clerk in 1939. She later held higher-level statistical jobs at the New York City Department of Health, the U.S. National War Labor Board, and the U.S. Wage Stabilization Board, and worked as a family economist and later as a food economist at the U.S. Department of Agriculture (USDA). It was during her work at USDA that she became familiar with the food plans and the food survey that she was later to use to develop her poverty thresholds. As a family economist from 1945 to 1951, she conducted research in family consumption and levels of living. In 1948, Mollie and a colleague were responsible for responding to letters from members of the public asking how they could make ends meet on their existing income in the face of rapidly rising prices after World War II. Mollie and her colleague would send pamphlets about preparing a family budget and about planning low-cost and moderate-cost meals using USDA's food plans (theoretical nutritious diets at different cost levels) (Burke 1948). This shows that Mollie was working with USDA's food plans at least 15 years before she used them to develop her poverty thresholds. As a food economist from 1953 to 1958, she planned and directed the collection and analysis of data on food consumption and expenditures of American households. She wrote a major section of a summary report on USDA's 1955 Household Food Consumption Survey, the same survey she would later use to calculate the "multiplier" for her poverty thresholds (Orshansky 1957). In February 1958, Mollie Orshansky joined the Social Security Administration (SSA) as a social science research analyst in the Division of Program Research, which later became the Division of Research and Statistics and then the Office of Research and Statistics. Her first assignment at SSA was to prepare an article on standard budgets (estimates of necessary family living costs) and on practices in setting fee scales in 21 large cities. For a later assignment, she prepared a medical care standard (which included among other items, the number of physicians' visits per year) as part of the "Budget for an Elderly Couple" that the Bureau of Labor Statistics was then revising. In a 1960 congressional hearing, a senator asked Arthur Flemming, Secretary of Health, Education, and Welfare (HEW), if he had figures on how much it costs a retired couple to live. Flemming said that HEW (of which SSA was then a part) would provide an answer for the record, and Mollie was the civil servant who anonymously prepared that answer. Besides mentioning budgets for an elderly couple that had been prepared by two organizations as part of her answer, she also provided two rough measures of income inadequacy for an elderly couple that she had developed by applying multipliers derived from USDA's 1955 Household Food Consumption Survey to the cost of USDA's low-cost food plan (which at that time was the cheapest of USDA's three food plans)—almost exactly as she was to do several years later in her 1963 and 1965 poverty articles (see below). However, this 1960 work of hers remained unknown to people outside her office. One major source for Mollie's July 1963 article was a special tabulation of Current Population Survey data, which SSA purchased from the Census Bureau at a cost of $2,500. The results showed that the median annual income of nonfarm female-headed families with children was $2,340. Orshansky was horrified when she realized that half of these families had to live for an entire year on less money than SSA had paid for one statistical tabulation. She later commented, "I determined I was going to get my $2,500 worth" (Eaton 1970, 24; Hershey 1989, A11; Stone 1994, 85, 87; Orshansky 1963, 7). 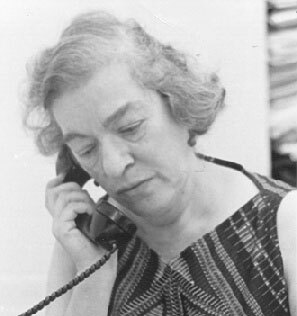 In 1982, Mollie Orshansky retired from SSA after a government career that had lasted for more than 40 years. She died at age 91 in December 2006. Her development of the poverty thresholds was a major contribution to American public policy, providing a means of identifying the groups in our society with the least resources. As a result, the question "How does it affect the poor?" has become a test for proposed public policies and programs. Mollie's thoughtful analyses of the poverty population began a tradition, providing information on the hardships faced by families with children, the elderly, and other vulnerable groups; numerous researchers have followed her example by conducting similar analyses and drawing policy implications from them. She received a Commissioner's Citation from the Social Security Administration in 1965 for her creative research and analytical work, and in 1976 she received the Distinguished Service Award from the U.S. Department of Health, Education, and Welfare (of which SSA was then a part) for her "leadership in creating the first nationally accepted measures of income adequacy and applying them diligently and skillfully to public policy." Today Mollie's poverty thresholds remain a major feature of the architecture of American social policy. When Mollie developed her poverty thresholds in 1963–1964, she made use of information that she had worked with at the U.S. Department of Agriculture (USDA). She based her thresholds on the "economy food plan," which was the cheapest of four food plans (hypothetical food budgets providing a nutritious diet) developed by USDA. From a finding of USDA's 1955 Household Food Consumption Survey (the latest such survey available during the early 1960s), she knew that families of three or more persons had spent approximately one-third of their after-tax money income on food in 1955. She used this survey finding by considering a hypothetical average family which was spending one-third of its income on food, and by assuming that the family had to cut back on its expenditures sharply. Mollie assumed that expenditures for food and non-food would be cut back at the same rate, so the family would continue to spend a third of its income for food. When the food expenditures of the hypothetical family reached the cost of the economy food plan, she assumed that the amount the family would then be spending on non-food items would also be minimal but adequate. (Her procedure did not assume specific dollar amounts for any budget category besides food.) Following this logic, she calculated poverty thresholds for families of various sizes by taking the dollar costs of the economy food plan for families of those sizes and multiplying the costs by a factor of 3. (She followed somewhat different procedures to develop thresholds for two-person and one-person units.) She differentiated her thresholds not only by family size but also by farm/nonfarm status, by the gender of the family head, by the number of family members who were children, and (for one- and two-person units only) by aged/non-aged status. The result was a detailed matrix of 124 poverty thresholds (later reduced to 48). Instead of citing all 124 or 48 detailed thresholds, people commonly cite weighted average thresholds, one for each family size. The poverty thresholds that Mollie Orshansky developed are now updated each year by the Census Bureau. The thresholds are used mainly for statistical purposes—for example, preparing estimates of the number of Americans in poverty each year. However, besides the poverty thresholds, there is also another version of the federal poverty measure: the poverty guidelines. The guidelines are issued each year by the U.S. Department of Health and Human Services (HHS). The guidelines are a simplification of the poverty thresholds for administrative purposes—for example, determining eligibility for certain noncash federal programs. The guidelines have also been adopted by some state, local government, and private programs. The Office of Economic Opportunity started issuing the poverty guidelines in December 1965 for determining eligibility for its programs. Responsibility for issuing the guidelines was transferred to HHS by the Omnibus Budget Reconciliation Act of 1981 (Fisher 1992c). Burke, Vincent J. 1948. How to meet living cost stumps even Uncle Sam's budget experts. Harrisburg, Illinois Daily Register. February 20, 4. __________, and Vee Burke. 1974. Nixon's good deed: Welfare reform. New York: Columbia University Press, 1974. Cassidy, John. 2006. Relatively deprived: How poor is poor? The New Yorker. April 3, 42–47. Chan, Sewell. 2006. Alum profile: Mollie Orshansky, June '31. Alumnotes 32(3): 4–5. DeParle, Jason. 1990. In rising debate on poverty, the question: Who is poor? New York Times. September 3, 10. Eaton, William J. 1970. The poverty line. New York Post. April 4, 24. Fisher, Gordon M. 1992a. The development and history of the poverty thresholds. Social Security Bulletin 55(4): 3–14. Also available at http://www.socialsecurity.gov/history/fisheronpoverty.html. __________. 1992b. The development of the Orshansky poverty thresholds and their subsequent history as the official U.S. poverty measure. Unpublished paper. Available at http://www.census.gov/hhes/www/povmeas/papers/orshansky.html. __________. 1992c. Poverty Guidelines for 1992. Social Security Bulletin 55(4): 43–46. Also available at http://aspe.hhs.gov/poverty/papers/background-paper92.shtml. Hadnot, Ira J. 1999. The politics of poverty. Dallas Morning News. November 28. Hershey, Robert D. Jr. 1989. Q.&A. : Mollie Orshansky—The hand that shaped America's poverty line as the realistic index. New York Times, August 4, A11. Orshansky, Mollie. 1957. Food consumption of families today. Nutrition Committee News. March-April, 1–8. Institute of Home Economics, Department of Agriculture: Washington, DC. __________. 1963. Children of the poor. Social Security Bulletin 26(7): 3–13. Social Security Administration. 1971. How much is too little? Oasis 17(10): 13–16. Stone, Deborah A. 1994. Making the poor count. The American Prospect (17): 84–88 (Spring).